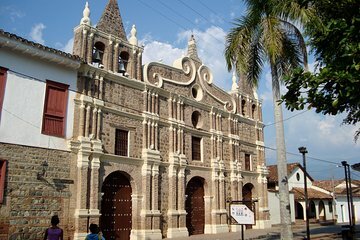 Discover the charming architecture and fascinating colonial history of Santa Fe de Antioquia during this private 10-hour excursion from Medellín. Journey through the scenic landscapes of Colombia’s Western Andean highlands with your private guide to this historic town, founded in 1541. During the course of your trip you’ll visit ‘Puente del Occidente,’ the oldest suspension bridge in Colombia, sample exotic tropical fruits at the local market and admire the city’s wealth of colonial-era plazas, churches and palaces. Your Santa Fe de Antioquia trip also covers a typical Colombian lunch, private vehicle, entrance at the Museum of Juan de Corral and round-trip hotel transport.